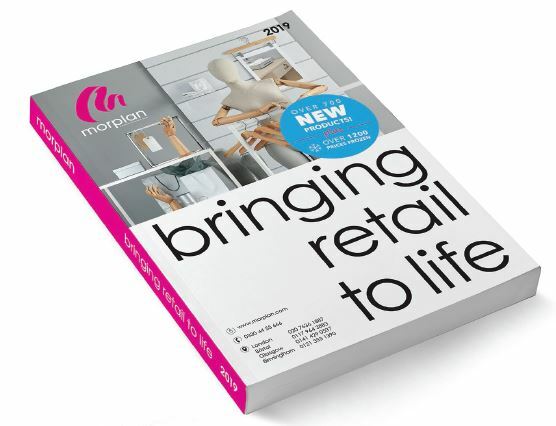 Bigger than ever before, this year’s Morplan catalogue is a whopping 670 pages and is packed with ideas and inspiration for your store. From the stunning, free-standing FRAX35 Display System to brown paper carrier bags with style, you’ll find exactly what you need to present your products and delight your customers. Take a look at the shop sets at the front of the book – each one built in just a few days – showing that short term display solutions can be just as stylish as permanent ones. Launched at Spring Fair, the catalogue goes live at the start of February and prices (1200 of which are frozen or reduced from 2018) are fixed until 2020, offering a little stability in a currently chaotic retail world. For your copy call 0330 44 55 666 or register online.